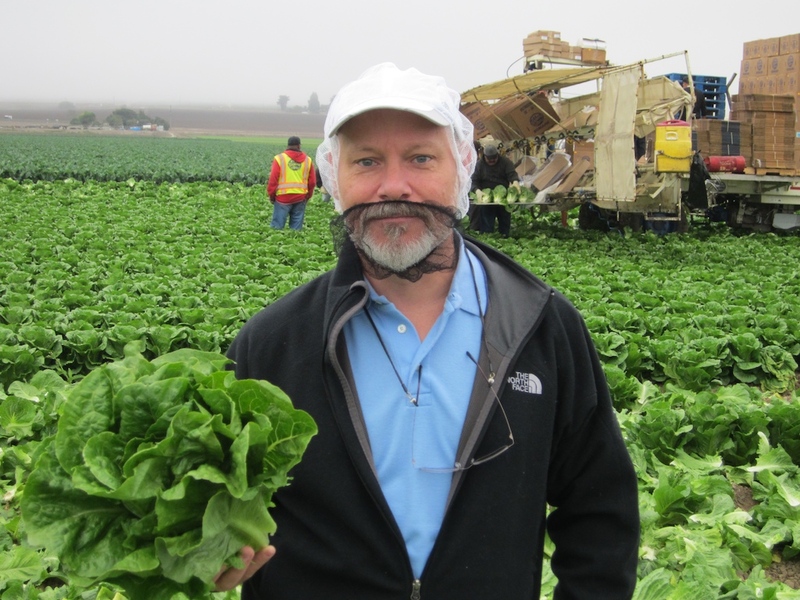 We recently made a trip to Monterey California to learn more about our fresh greens, artichokes, garlic, celery and other vegetables from the Salinas Valley region and it was quite enlightening! This is the best place in the world to grow lettuces and many other crops thanks to the cool temperatures and daily overcast skies (locals hate it, but lettuces love it!). 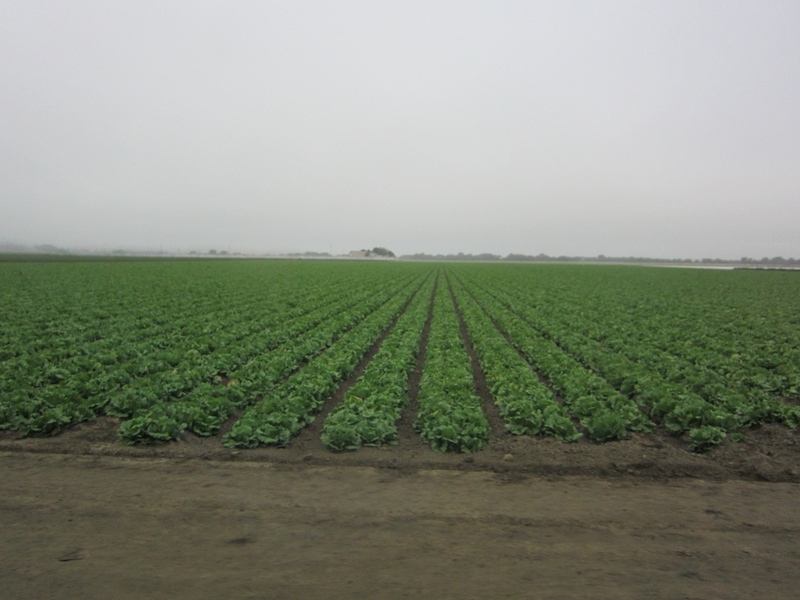 The vastness of the lettuce fields was absolutely stunning – they stretched on for miles and miles in every direction. 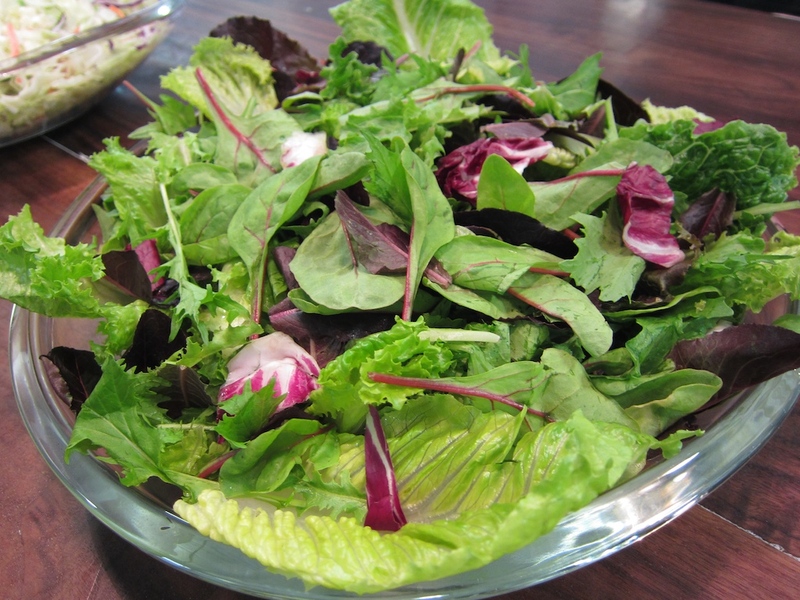 They lettuce is rotated with strawberries, broccoli, cabbages, celery and other cool weather crops. Romaine Lettuce. Water is precious in this dry valley, so the soil is prepared with drip system to avoid waste and excess moisture on the leaves. Seeds are planted and seedlings culled by hoe for perfect spacing. Only the best heads are taken, any sign of bird damage or insects and the heads are left behind and tilled back into the soil. The crew is nearing the end of the row where more wind damage can occur, so they’re switching from the premium brand in the white boxes (which we buy) to a lesser brand in the brown. 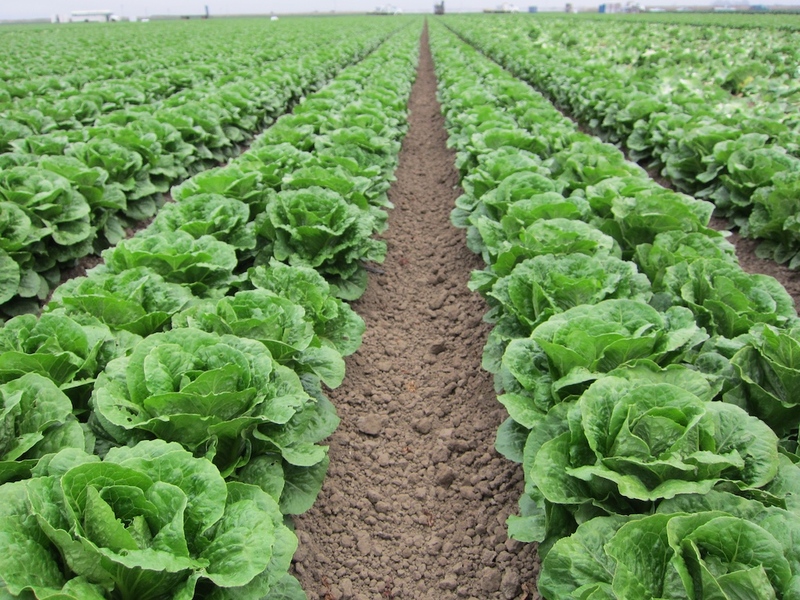 Our coop / supplier manages quality at field level and leverages the finest produce of the region. They’re fanatical about sanitation here! We had to wash our hands and wear hair and beard nets to enter the fields. Portable toilets are kept close at hand and inspectors watch everyone wash their hands before returning to work. 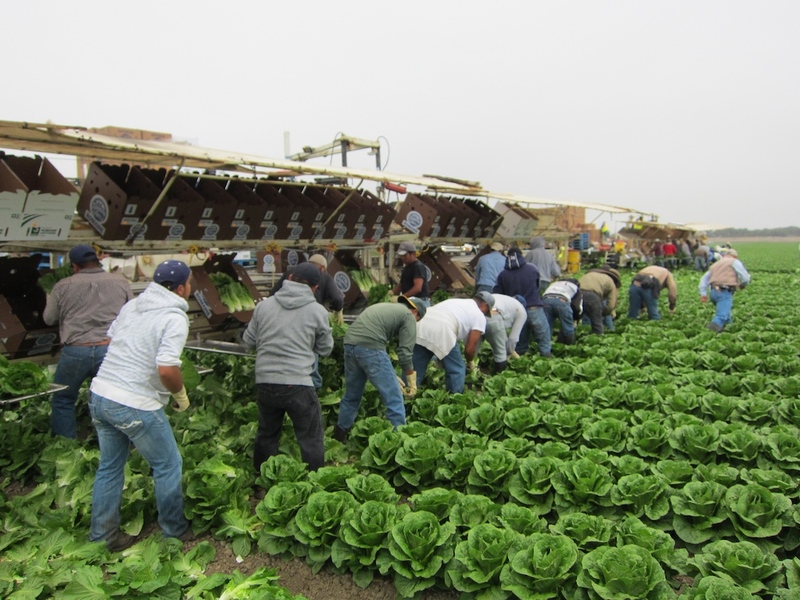 Also, produce samples are taken from every section of the field and tested for pathogens – if any are present, the lettuce does not get picked. Their safety measures were very comforting! 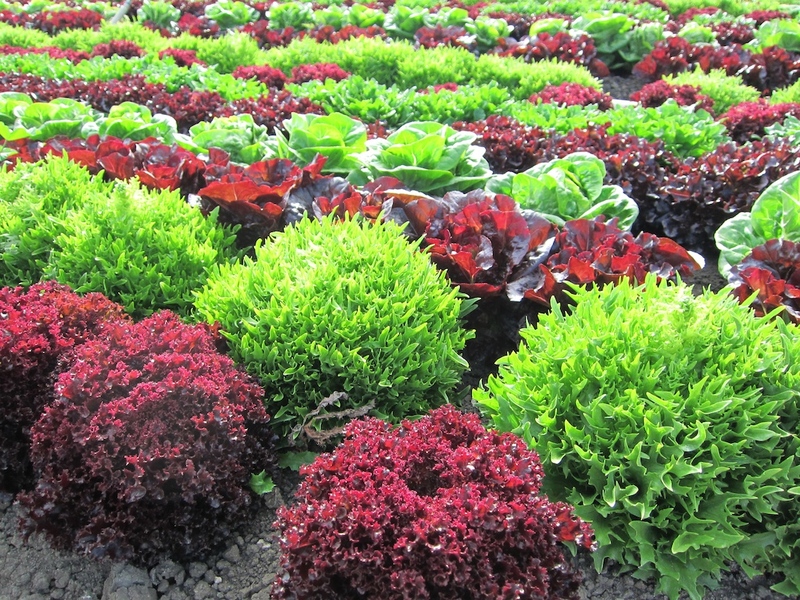 Beautiful lettuce varieties from Organic Girl. Their flavors and blends are stunning! 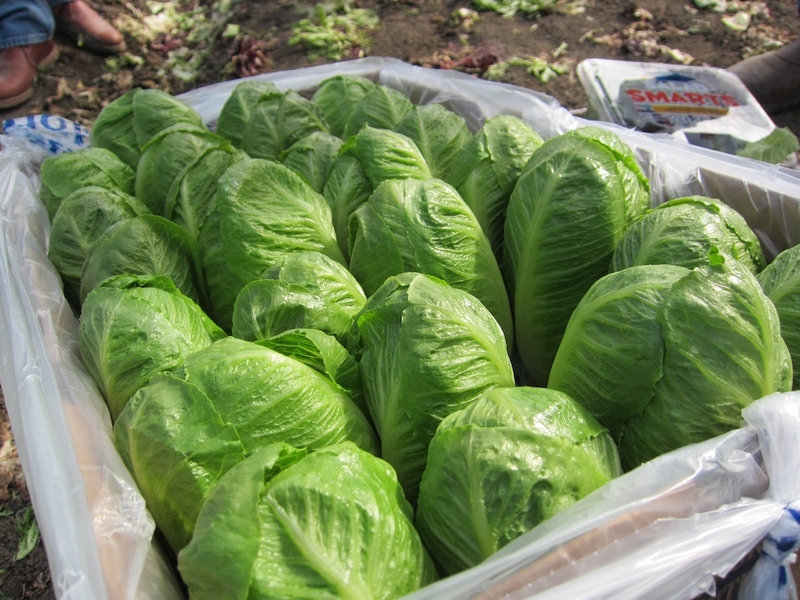 Baby romaine hearts from Organic Girl. Excellent field management and state of the art washing techniques assure safety, I was so impressed, I’ll never wash Organic Girl lettuce again, I could only get it dirtier! 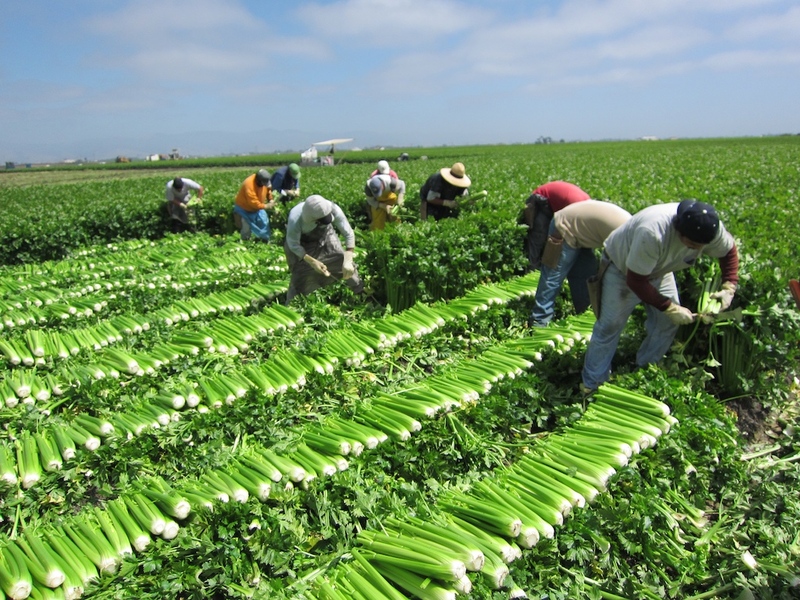 The celery operations were amazing – these guys cut and trim each bunch with exacting precision in seconds, and the air was filled with the sweet smell of celery. Almost every day the sun comes out for a couple hours and a cool breeze moves in (we wore jackets the whole time we were there – in late August!) before the clouds return. Heaven for cool weather crops! 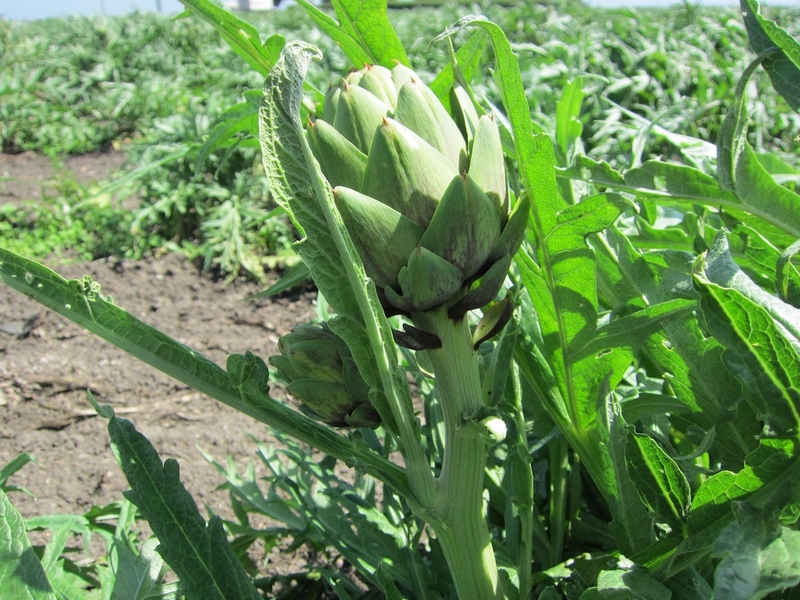 This area is also the heart of most artichoke and garlic growing in California – Castroville is famous for it’s artichokes and Gilroy is known as the garlic capital of the world. 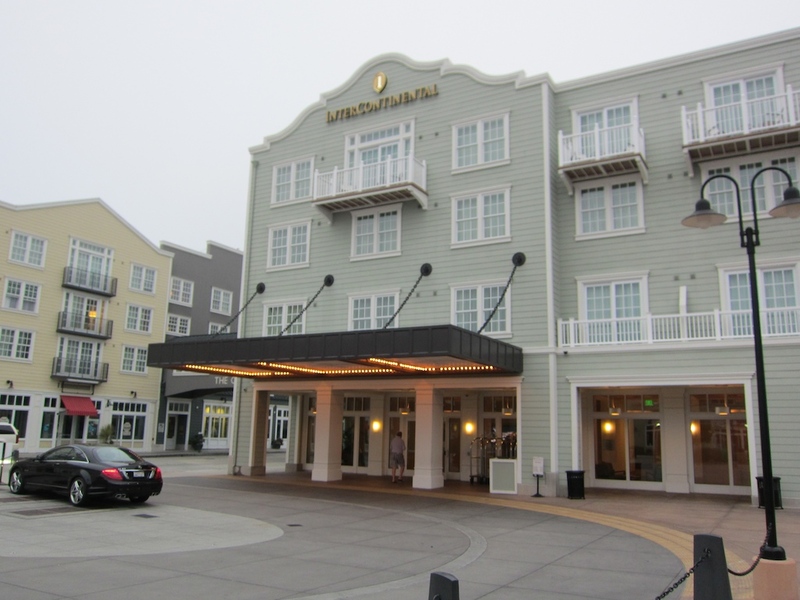 If you visit the area, you’ll definitely want to stay in The Clement at Monterey Bay, right in the heart of ‘Cannery Row’ (also a famous novel by John Steinbeck) – it’s right on the bay, next to the Monterey Bay Aquarium and absolutely top notch accommodations!